Hooray, everyone loves hummous! Here’s the way Lisa’s family makes it. Goes great with pita bread, baked pita chips, or… anything, really. 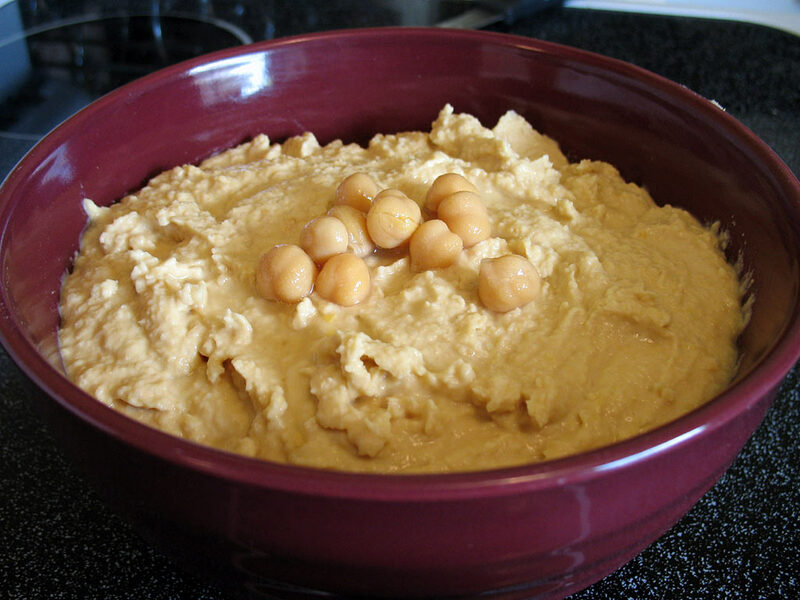 Drain two of the cans of chickpeas, leave the third can 1/2 undrained. Set aside 6 or 7 chickpeas. In a food processor, add the cans of chickpeas, including the liquid from the third can. Puree. Add the tahini, and continue to blend. Finally, add the lemon, garlic, and salt, and puree until desired consistency. Top with reserved chickpeas. This entry was posted on Thursday, June 7th, 2007 at 1:57 pm	and is filed under Appetizers. You can follow any responses to this entry through the RSS 2.0 feed. You can leave a response, or trackback from your own site.